SAP HANA is an in-memory data platform that is deployable as an on-premise appliance, or in the cloud. It is a revolutionary platform that’s best suited for performing real-time analytics, and developing and deploying real-time applications. 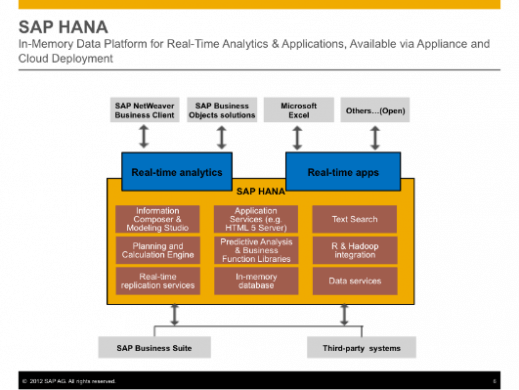 At the core of this real-time data platform is the SAP HANA database which is fundamentally different than any other database engine in the market today. Quer saber mais sobre o SAP Hana?